Together with Athleta, we're compiling actionable wellness advice you need from the experts—and Well+Good is bringing it to life all year long at events in NYC. Here, Mia Rigden, RD shares her four-week guide to upping your veggie intake and reaping all the benefits of a plant-forward life. Some days, you crush a giant salad and feel like the epitome of health. Other days, you look back at what you've eaten and think, "Wine counts as a serving of fruit, right?" Been there. 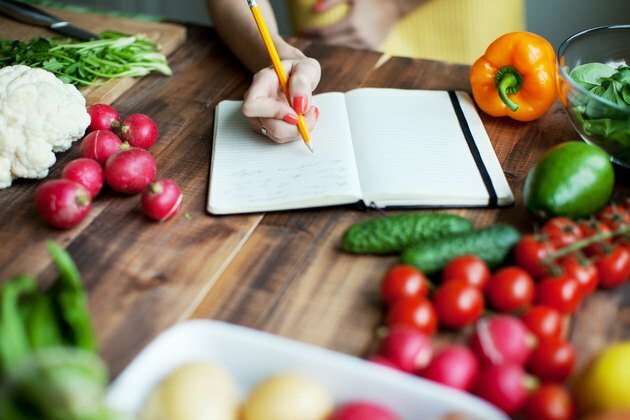 If you're someone who struggles to incorporate plants into your diet, Mia Rigden, RD, totally gets it—which is why she helped us create this four-week plan for increasing your veggie intake. "The biggest roadblock that prevents people from eating more vegetables is usually just getting started," she says. "If you're not someone who regularly consumes a lot of vegetables, it can feel daunting, unappetizing, expensive or out of reach. [So] think of it as a fun challenge, not as a chore." According to Rigden, the key to getting in the recommended seven servings of fruits and veggies in a day is approaching your diet with a plant-forward mentality. "Plant-forward doesn't mean being vegetarian or vegan," she explains. "It just means eating an abundance and diversity of fruits and vegetables." Keep reading for her top tips for adding more veggies into your plant-forward life, organized into a four-week challenge. 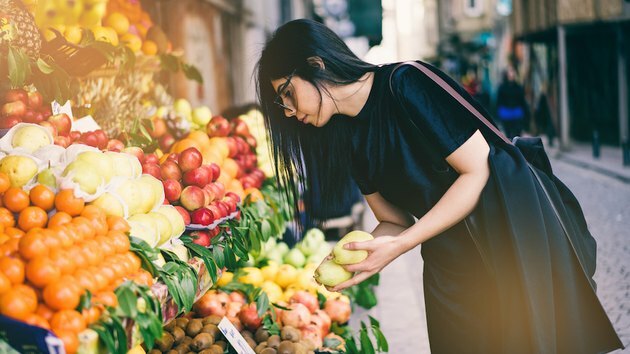 To familiarize yourself with new fruits and vegetables and learn what's in season near you (which will ensure the produce is freshest and less expensive), look up your closest farmer's market and browse around. "Don't be afraid to be inquisitive about vegetables you've never seen before, and ask your farmer how to prepare them," Rigden advises. If you don't have a farmer's market near you, opt for a grocery store. If the store still doesn't have an inspiring variety, Rigden invites you to get creative. "Grow fresh herbs in your windowsill or buy frozen vegetable medleys," she recommends. "The best way to make a change is to become aware of your current habits," Rigden says. Kick off week two by logging your current veggie intake so you can compare it to coming weeks and celebrate any improvement. 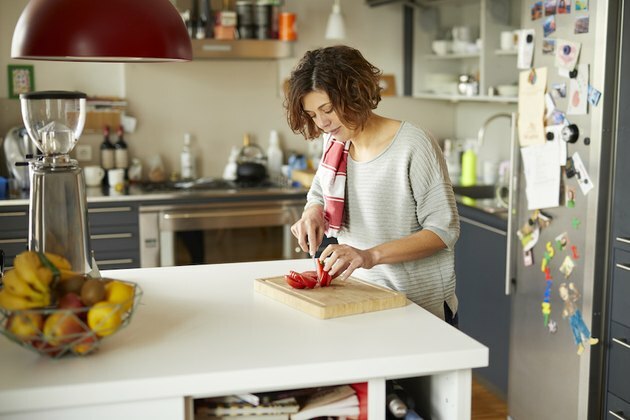 It's not about counting calories (you can just make a note in your phone and write down the name of the fruit or vegetable and the serving size), but rather about keeping yourself accountable to this new plant-forward lifestyle. "Be open-minded," Rigden says. "The problem with 'diets' is that they're often way too restrictive, which makes them hard to follow long-term." Tapping into the nutrient-rich profile of vegetables doesn't mean eating plates of bland food. "Food should be delicious, exciting, and full of nutrients that support your body and the lifestyle you want to lead," Rigden says. Smoothies are a quick and easy way to get your veggies in on the go. Throw a handful of greens into the blender with tropical fruits and mint for a mojito-style blend, or combine steamed-then-frozen cauliflower or zucchini with banana, cacao, and almond milk for a healthier chocolate milkshake (and you won't even taste the vegetables, promise). You can't snack on what you don't have on hand, so make sure you have a fridge full of easy-to-grab fruit and veggie options for when hunger strikes. Challenge yourself to only snack on plants for a week and note of how it makes you feel. Plants are naturally energizing, says Rigden, which is what it's all about. 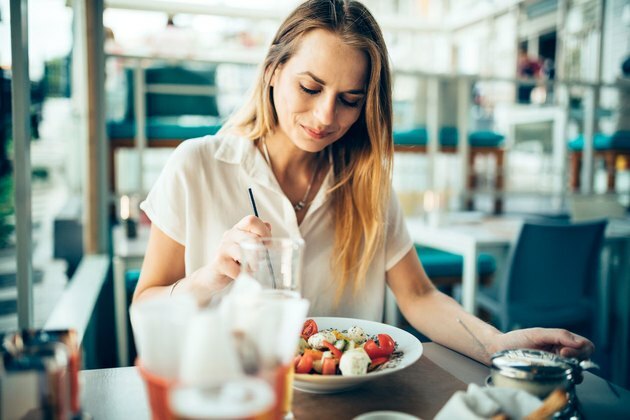 "When you focus on enjoying your meals and feeling good, incorporating more nutrient-dense foods into your daily routine should feel fun and satisfying."